Join Offline's First Holi Party. We plan to Celebrate this Colorful Festival with Kids & Family Friendly Environment. 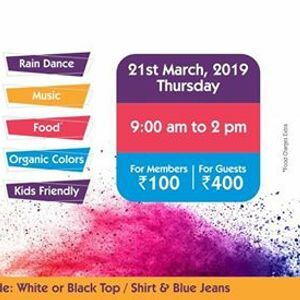 Rain Dance, DJ Music & Organic Colors Highlights of the event. Call on 97182 97182 & 90810 44455 for Passes. Please Note that Stag Entry is Not Allowed.